Sarah Murnaghan was 10 years old in June 2013 when she was battling the end stages of a severe case of cystic fibrosis. Sara was born with this autosomal recessive genetic disorder, which was affecting her lungs. Over the course of 18 months, this Pennsylvania girl worked her way up to the top of the lung donor list for children, but time was running out. She was just a year and a matter of months away from turning 12. This would qualify her for an adult lung transplant, which occurs at a much higher rate than pediatric ones . Sarah was potentially weeks away from her death and simply did not have the time to wait. Her parents took to the streets and social networks to garner media attention over the issue. They eventually got the federal courts to temporarily repeal the Under 12 Rule, which restricts children under 12 to the pediatric lung wait list. With the vast amount of media attention this case commanded, many people across the country were very touched by the ultimate success of the second transplant; however, many argued that the way the medical community dealt with Sarah’s case was unethical. Until 2006, the system of lung allocation was on a first-come, first-serve basis, so those who have been waiting on the list the longest for a lung were the first to receive it. While this was considered to be a fair method, the system did not account for how severe the need for a transplant was. The Organ Procurement and Transplantation Network (OPTN) wanted to incorporate urgency in the system of lung allocation, which led to the adoption of the Lung Allocation Score (LAS) for adult lung transplants in 2006. The LAS uses factors such as diagnosis of the patient, BMI, age, and systolic pressure of the pulmonary artery to determine eligibility and placement on the list for an adult lung transplant. For those under 12 years of age, the system is very different. These children are placed at the very end of the adult lung transplant list, making it nearly impossible to receive a set of adult lungs. For the pediatric list, children with respiratory failure or pulmonary hypertension are categorized under “Priority 1” as defined by OPTN. All others are “Priority 2” candidates. This system is in place due to “the unique circumstances” young lung candidates are in . The orders in which the candidates are assigned are based on several criteria. Priority 1 children are offered lungs before Priority 2, and children within each category are given preference based on proximity to donor hospital and wait time. Mortality rates for children are much lower than for adolescents and adults, which explains the shortage of pediatric organs experienced by parents across the country. As of June 2013, Sarah had been on the pediatric waiting list for 18 months, despite the severity of her condition. Her parents therefore filed a lawsuit in early June, claiming their daughter was experiencing age discrimination, since adult lungs can be and are resized to fit recipients  . The Murnaghans felt as though this discrimination was keeping Sarah from qualifying for the chance to have a life-saving procedure . Ultimately, federal judge Michael Baylson ruled that children could petition to be placed on an adult waiting list until July 1, 2014, while OPTN reevaluated the system. The exception that was made due to Sarah Murnaghan’s situation was very contentious, particularly in the medical community. According to Dr. David Cronin, a transplant surgeon at the Medical College of Wisconsin in Milwaukee, “most adult donor organs are not suitable for child recipients. Resized lung transplants… are not commonly performed on children” . When children receive adult lung transplants, the lungs are resized by removing part of the organ to fit them in a smaller chest cavity. Because of this resizing, adult lungs do not continue to grow as the child ages, unlike pediatric lung transplants. As such, many pediatric patients need to receive another transplant once they have outgrown their first. Sarah’s first lungs failed her, requiring a second transplant a few days later. Since Sarah was given a second set of lungs, it raised further questions of whether her treatment was influenced by media attention to the case . Experts in the field of bioethics have argued that medical decisions should not be made in the courts. Dr. Kevin Donovan, director of the Center for Clinical Bioethics at Georgetown University Medical Center, explained, “the courts would have the same sympathy that [the average person] would, but not the same medical information” . Furthermore, the NYU Langone Medical Center head of the division of medical ethics expressed that “expertise and medical facts, not publicity and political pull, ought to guide organ distribution.” This is especially the case since it is a matter of life and death when an organ goes to another person who stands a worse chance of surviving . Sarah Murnaghan was very fortunate that her parents were well connected and had the knowledge of how to attract the attention needed to save her life. However, many are concerned that other children may have passed away potentially in part because the media did not pick up on their story in the same way. Dr. Jeffrey Kahn at the Johns Hopkins Berman Institute of Bioethics asserted that it is concerning when special exceptions and rules are made for individuals with the resources to “get their case into the public eye” . He explains that others inevitably will demand the same level of attention, treatment and concession . Until July 1, 2014, OPTN has a temporary policy in place that allows parents to petition to have their children be given a LAS and be placed on the adult donor list. Over the course of the year, OPTN has agreed to reexamine the medical and ethical validity of the Under 12 Rule and other transplantation policies. More children now qualify for the chance to apply for life-saving procedures that were previously unattainable. Sarah Murnaghan is currently home in Pennsylvania, undergoing physical therapy as she continues to recover. United Network for Organ Sharing, “Questions & Answers for Transplant Candidates about Lung Allocation Policy.” Last modified 2010. Accessed November 3, 2013. http://www.unos.org/docs/Lung_Patient.pdf. Lupkin, Sydney. “‘Under 12 Rule’ Review Begins for Child Lung Transplants.” ABC News, June 10, 2013. http://abcnews.go.com/Health/12-rule-review-begins-child-lung-transplants/story?id=19366042. Aleccia, JoNel. 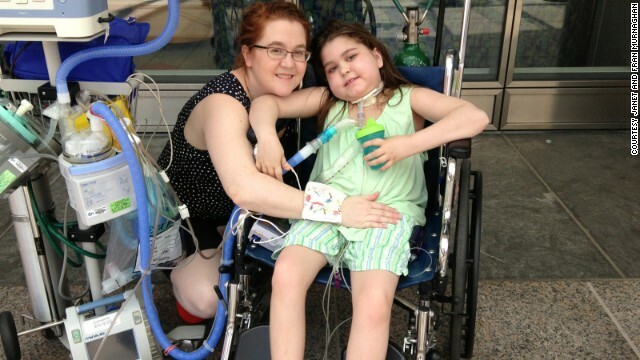 “Dying girl, 10, received two sets of lungs after national debate.” NBC News, June 28, 2013. http://www.nbcnews.com/health/dying-girl-10-received-two-sets-lungs-after-national-debate-6C10486627. Tomlinson, Tom. “Lungs for Sarah Murnaghan Raise Ethical Questions.” The Center for Ethics and Humanities in the Life Sciences at Michigan State University, June 27, 2013. http://msubioethics.com/2013/06/27/lungs-for-sarah-murnaghan-raise-ethical-questions/. Szabo, Liz. “Ethicists debate girl’s second lung transplant.” USA Today, July 1, 2013. http://www.usatoday.com/story/news/nation/2013/07/01/girls-second-lung-transplant/2477699/. “Girl Recovering After Second Lung Transplant.” Nightly News. NBC News June 28 2013. Web, http://www.nbcnews.com/video/nightly-news/52345670. TTH Annual Conference – 3 days!